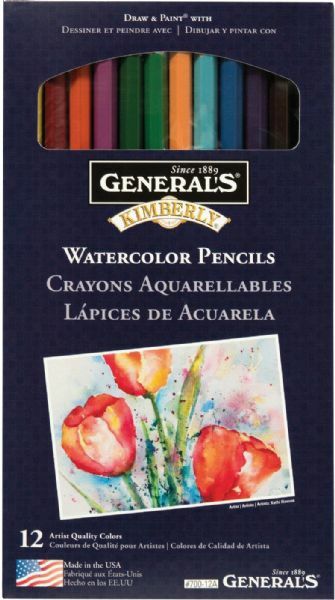 Since their origin in 1930 Kimberly watercolor pencils have been created from the finest artist pigments. * Originally termed the "indelible pencils" Kimberly watercolor pencils were primarily used as permanent markers for legal documents. * More than 70 years later these watercolor pencils are still premium artist quality drawing and painting tools. * Ideal for colored pencil drawing as well as adding a wash look with a wet brush they're great for fine art back to school rubber stamping and paper crafting. 7.5" x 4.12" x 0.38"